I'd recently begun reading science fiction and fantasy again after a relatively long absence. The New Wave Fabulists issue of Conjunctions brought me back, showing that some interesting stuff had happened since I'd stopped reading SF with any regularity in the mid-'90s. I got interested in the writers associated with the New Weird, and, especially, the contentious discussions that surrounded it for a while. 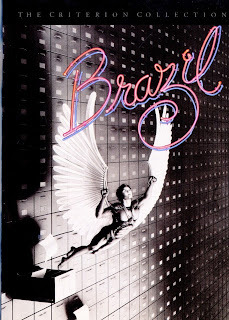 Kathryn Cramer's blog was a definite inspiration — I'd discovered it because of some of her political writings, then used it as a hub for links to things SFnal as well. It's strange now to think back and remember just how relatively barren the landscape was for people using blogs to write about books, never mind about science fiction and fantasy. That's why I thought I might be able to carve a place for myself. I'd had some interest in writing about current events and politics, but I have little talent for it, and even in 2003 there were dozens and dozens of people using blogs for political purposes, often eloquently and intelligently, which was more than I could manage. So I wrote about books and movies. The first post is just a definition of mumpsimus. I chose the name after reading about it in Forgotten English by Jeffrey Kacirk. If I was going to be offering ideas and opinions, I thought, I should at least acknowledge that I know such an endeavor to be perilous, even foolhardy. The first post with any of my own content gives a sort of prospectus, a view of what I thought I might be up to. Of course, the blog became much more than I ever expected or envisioned (10 years! egads! ), but it hasn't deviated too vehemently away from that original plan, though of course it's only occasionally a blog about SF anymore. It's interesting that the two writers mentioned by name in that early post are Samuel Beckett and Ama Ata Aidoo. I'm glad an African writer was there from the beginning, as well as Beckett, whose writings mean so much to me. The next post was about James Patrick Kelly's story "Mother". I'm glad, too, that Jim was there from the beginning. Because he really was. And Kit Reed! Until now, I'd completely forgotten that I wrote about Kit's story "The Wait" when The Mumpsimus was only a few weeks old. How appropriate, then, that earlier this year I got to interview Kit (and Chip Delany) in front of an audience at the AWP Conference, and that her magnificent retrospective collection, The Story Until Now (which includes "The Wait"), was released this year. 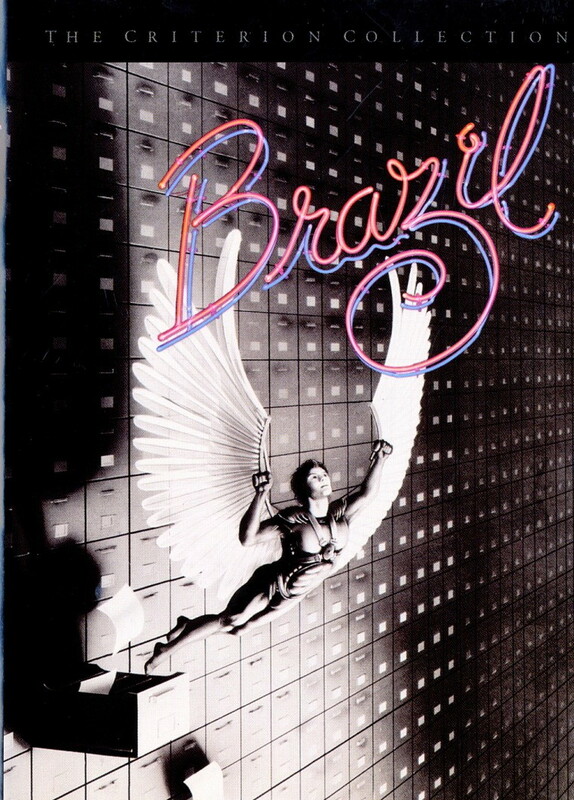 And from Day 2, I was writing about film, looking at the Criterion Collection edition of Brazil (recently upgraded to BluRay, and the Movie of the Week at the new film website The Dissolve). 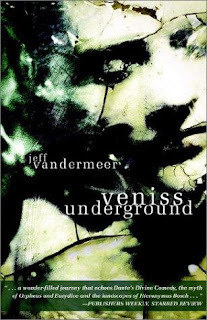 Also on that second day, I wrote about Jeff VanderMeer's first-published novel, Veniss Underground. I had some quibbles with the book, and Jeff, being Jeff, soon emailed me to quibble with my quibbles. (The review now seems to me awkard, stumbling, and amateur, and I would now be a harsher critic of it than Jeff was then — really, he was mostly quite gracious and thrilled that somebody had written about his book, even some no-name blogger in New Hampshire.) It was the first time I'd ever written anything that I knew was read by the writer I was writing about. It was also the first proof to me that the blog was actually public. Jeff liked what he saw at the blog (this was sometime in September, I think), and we kept in touch, developing one of the most important friendships in my life. I said above that Coetzee is probably the writer I've written the most number of posts about, but I meant that in the sense of "writing about" as a critic-type-person. I expect Jeff and Ann VanderMeer's names are the ones that are scattered most frequently through this blog from beginning to end, because we've worked on a bunch of projects together, and no-one has supported my work as consistently or determinedly as they have. I sometimes wish I knew Jeff less than I do so that I could write about his fiction more fully, but I trust that other people will do that (as Steve Shaviro did with Shriek, my favorite, so far, of Jeff's novels, and a favorite of the century so far, though the upcoming Southern Reach Trilogy may give it a good run for its money). I'd rather be a friend than a critic, anyway, especially when the friend is a truly great writer, one of the best of our era.